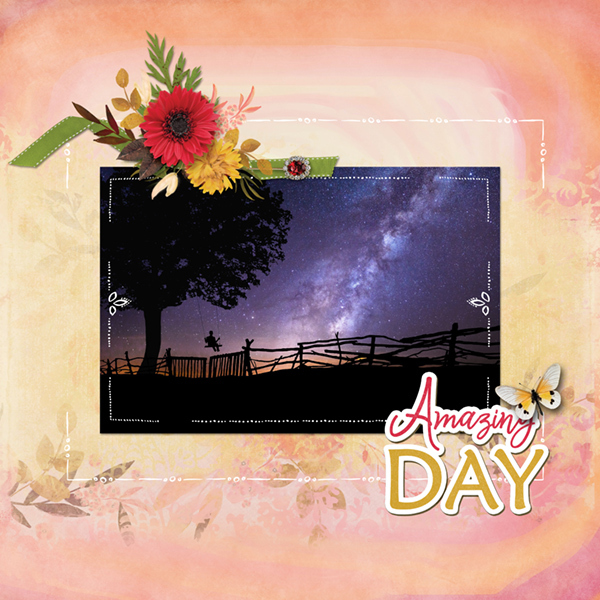 Your digital scrapbook projects will come together in a snap when you use Value Pack Amazing Day with its fun photo frames and pre-made floral clusters. 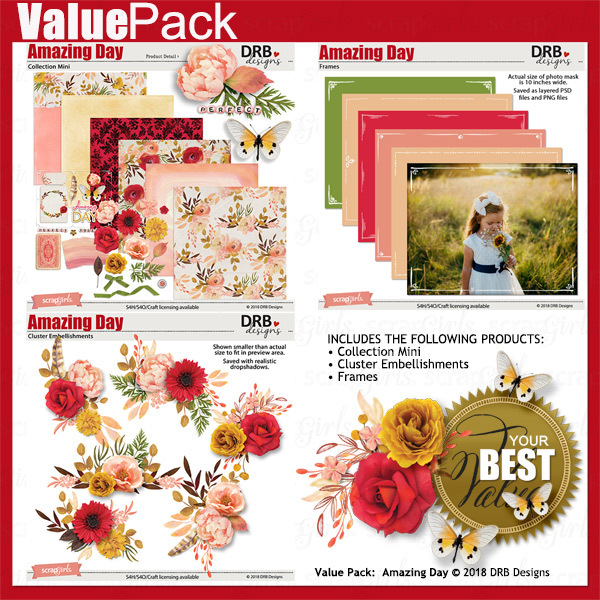 This Collection Mini is full of beautiful and uniquely designed papers and cardstock stickers that will help make any of your creative projects something to treasure. 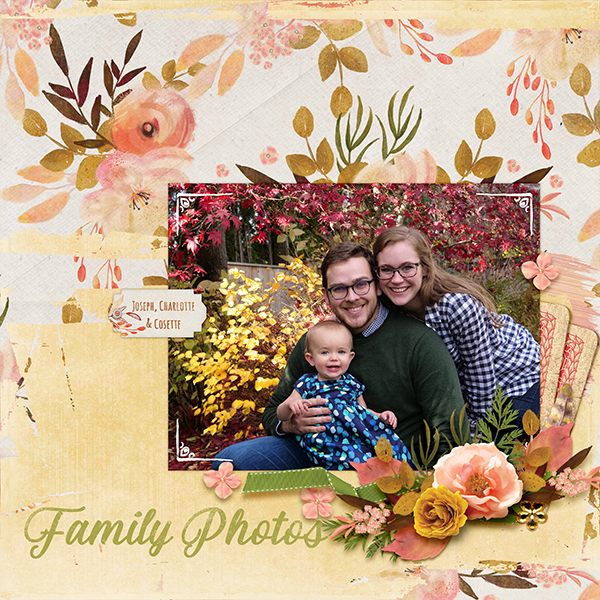 The Autumn Gems Collection Mini is bursting with beautiful fall color! 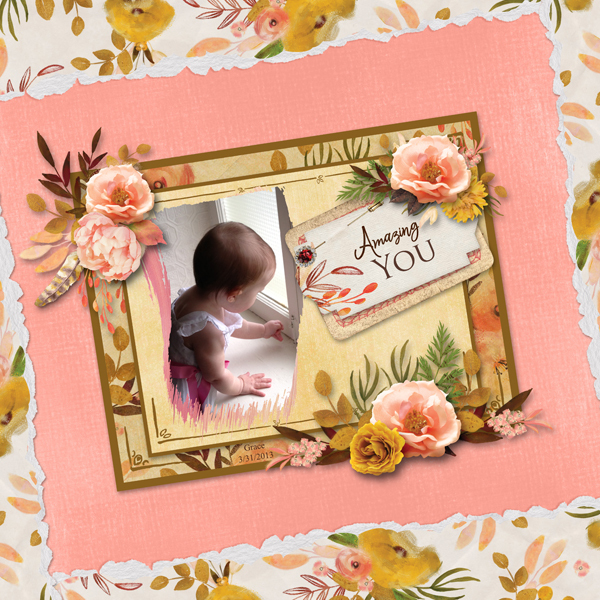 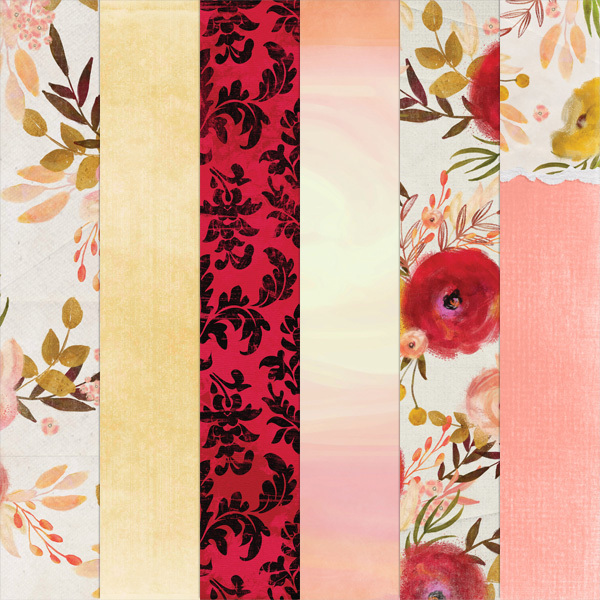 Featuring 21 gorgeous gems in a variety of shapes and sizes, you also get watercolor stickers, fabric flowers, leaves, ribbon, tags, a photomask and more. 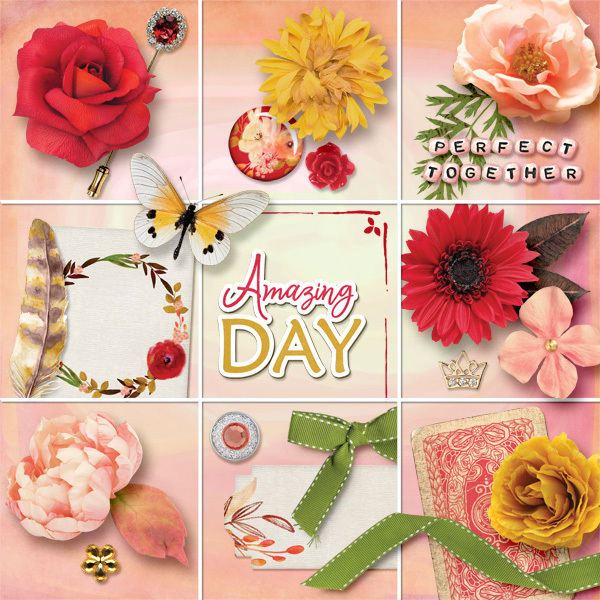 Create many beautiful layouts or other projects with this huge collection featuring lovely lilacs and more! 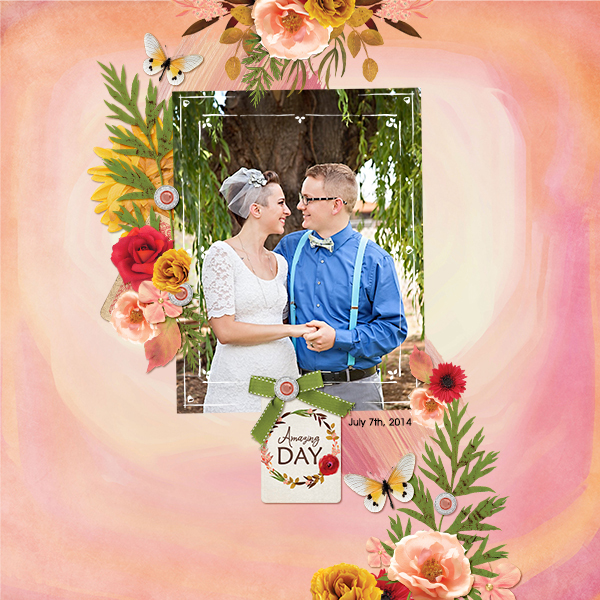 You'll love playing with the peach tinted florals and the gold and ivory embellishments in the One Fine Day Collection Mini.